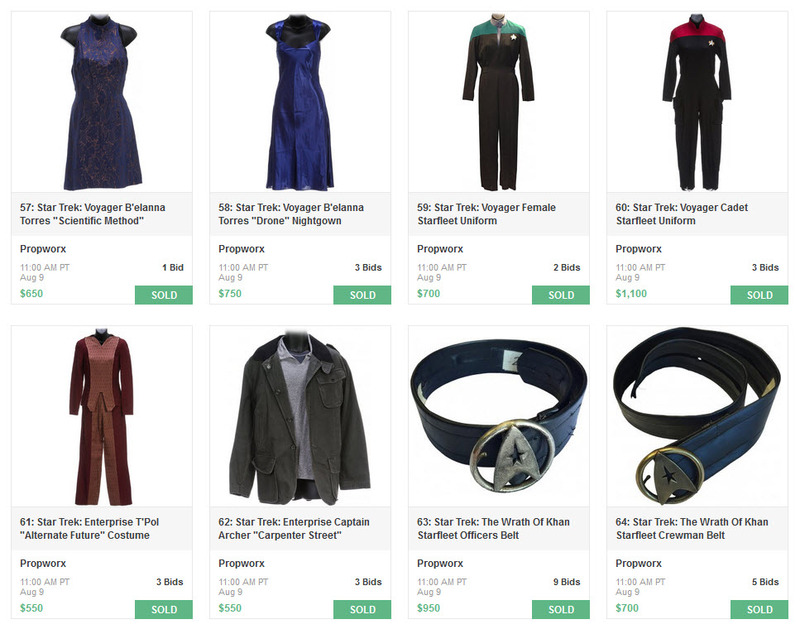 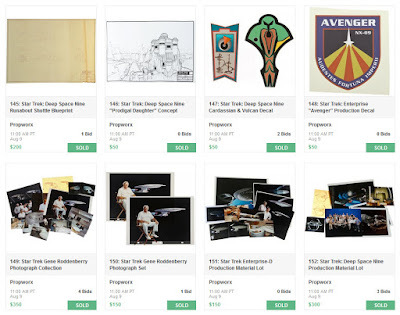 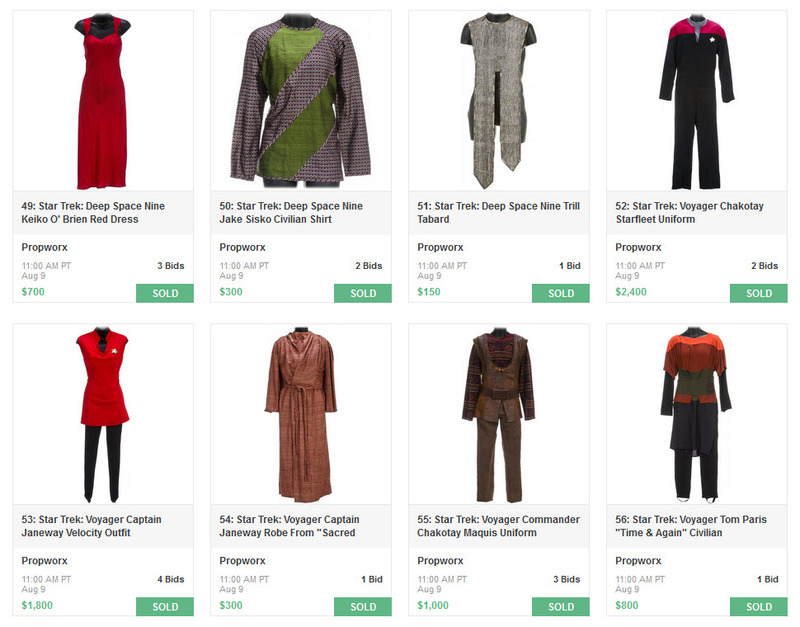 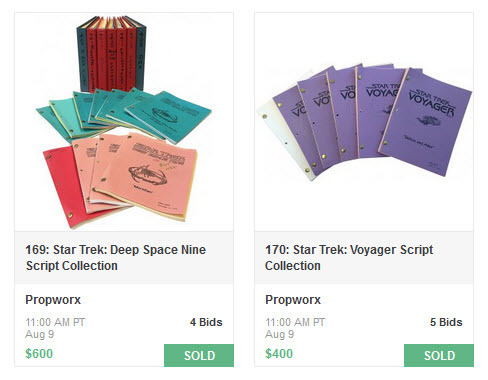 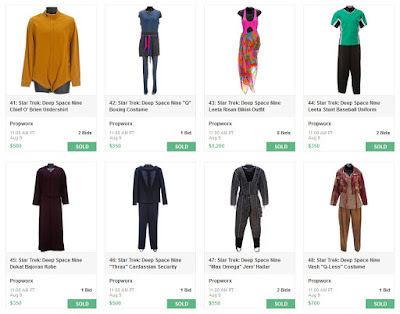 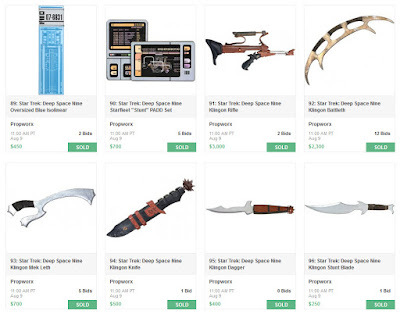 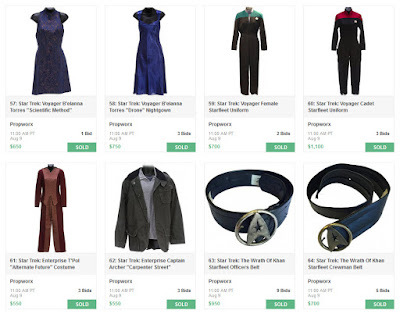 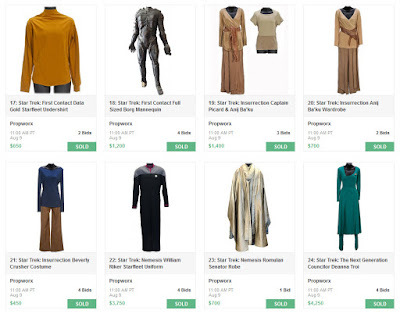 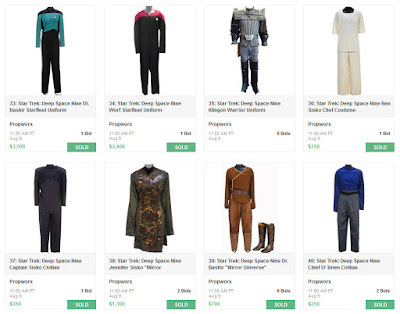 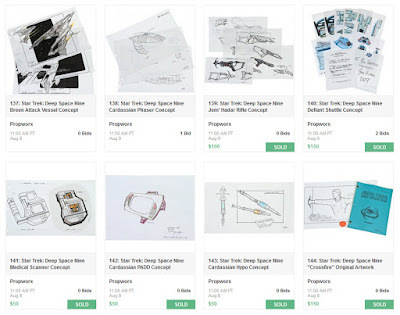 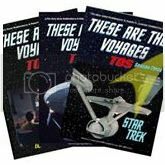 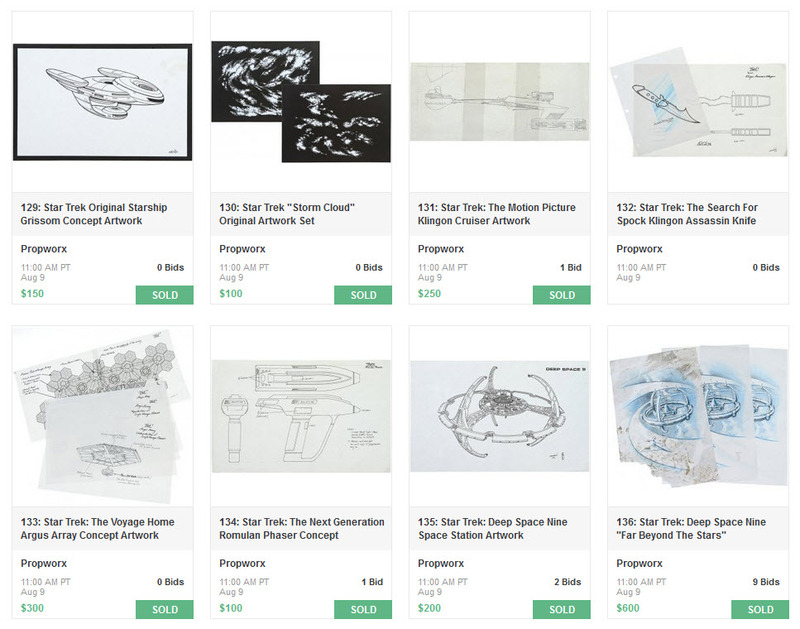 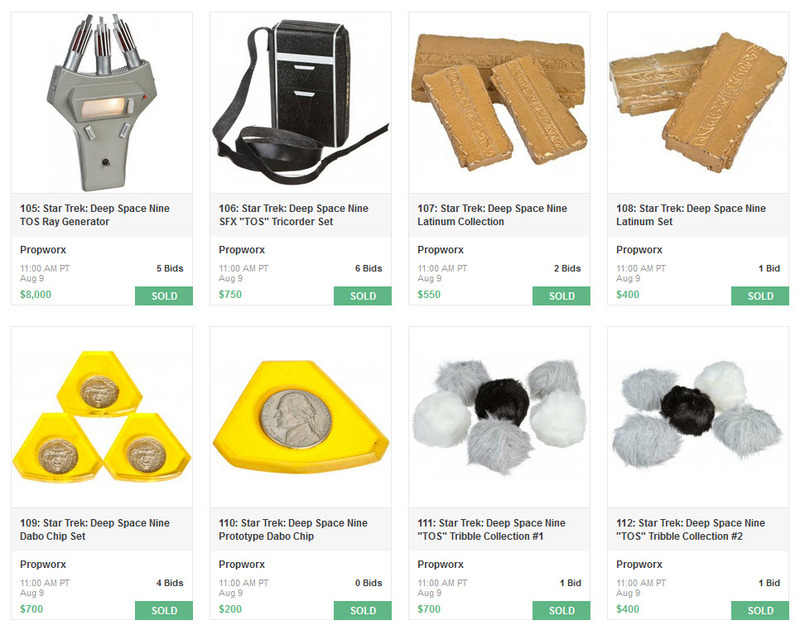 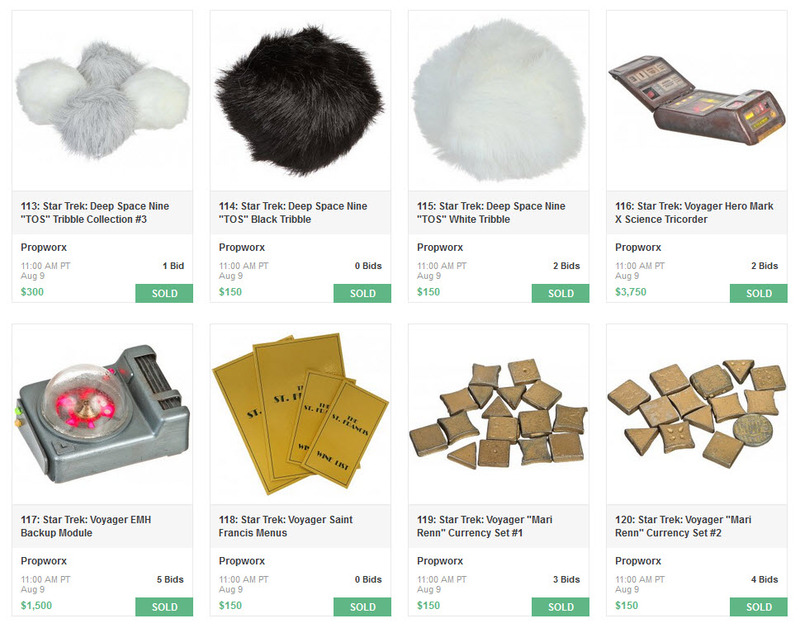 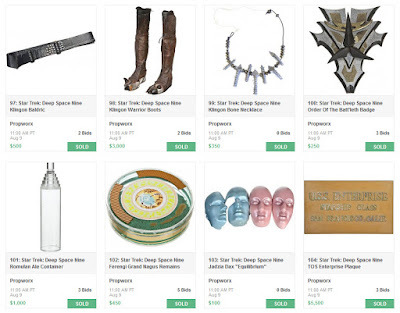 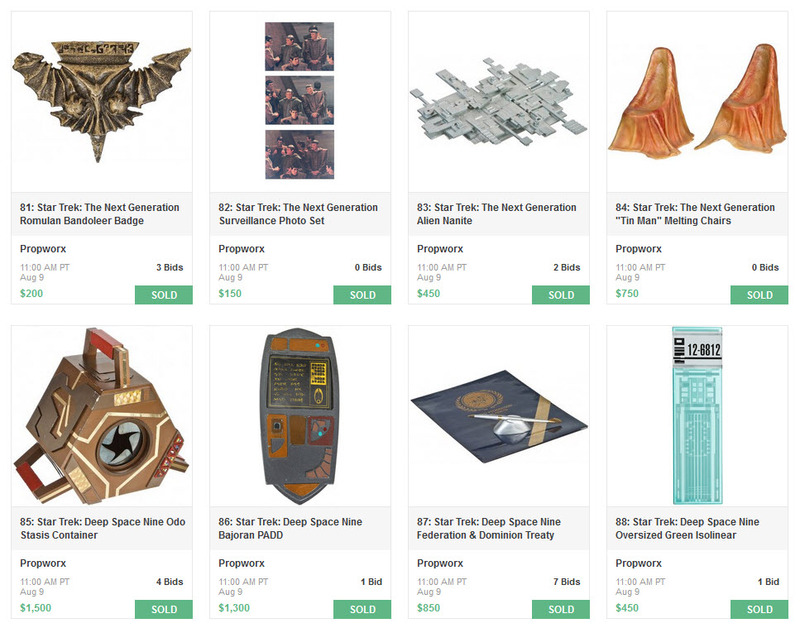 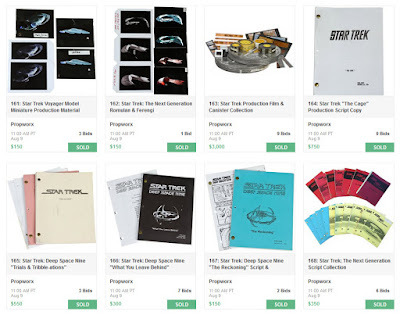 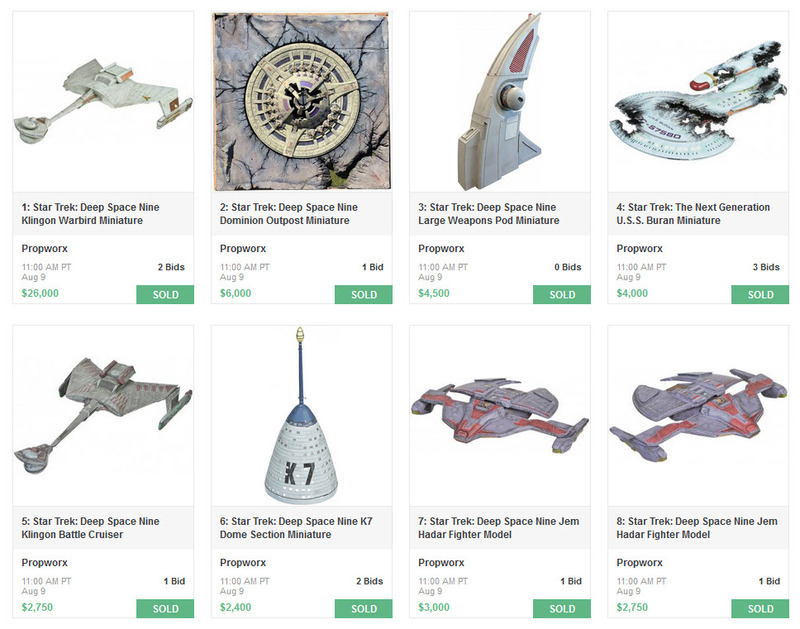 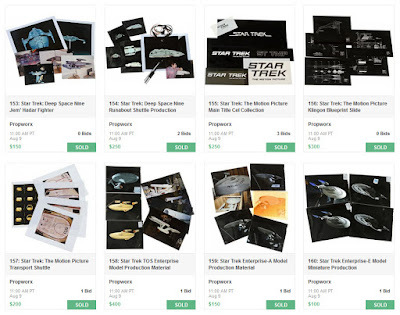 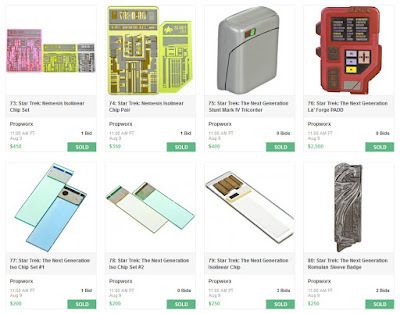 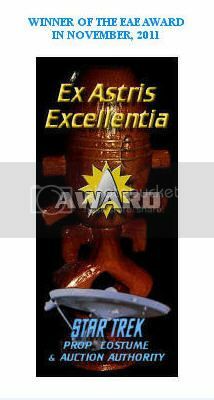 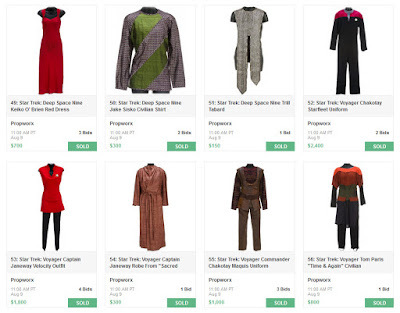 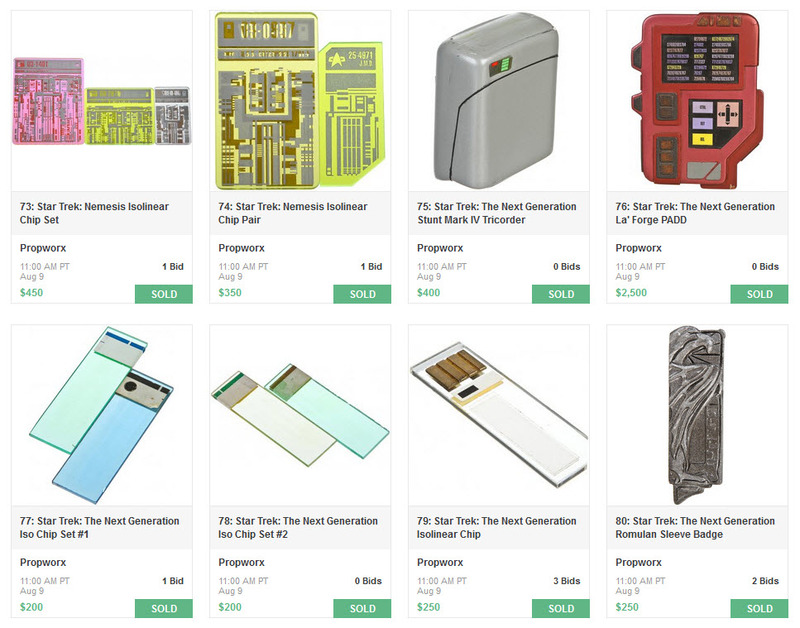 Presented below is the complete set of final prices realized for the 170 lots of Star Trek memorabilia that were offered in the Propworx Star Trek Auction VI event; which concluded on Sunday August 9th in a live bidding session from the floor of the Creation Official 2015 Star Trek Las Vegas Convention, that was accompanied by a simultaneous live online bidding session hosted through LiveAuctioneers.com. The highest price realized in the auction was associated with Lot 1 - the 30" long Klingon D7 Warbird filming miniature from the highly memorable Deep Space Nine episode "Trials & Tribble-ations" - which sold for an impressive $30,680 (including an 18% buyers premium). 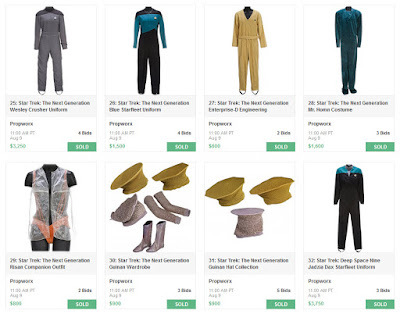 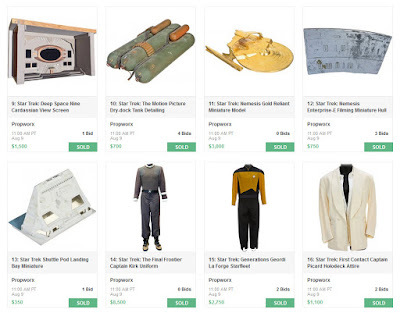 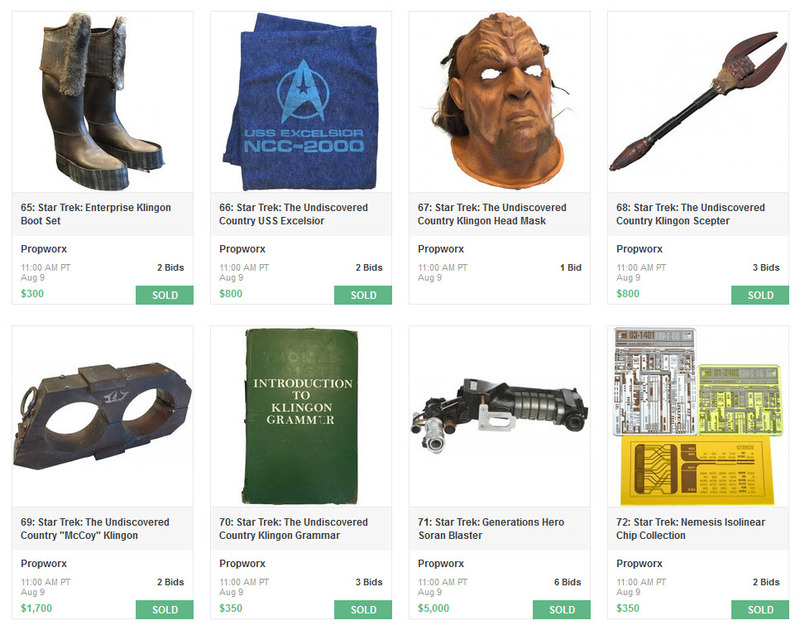 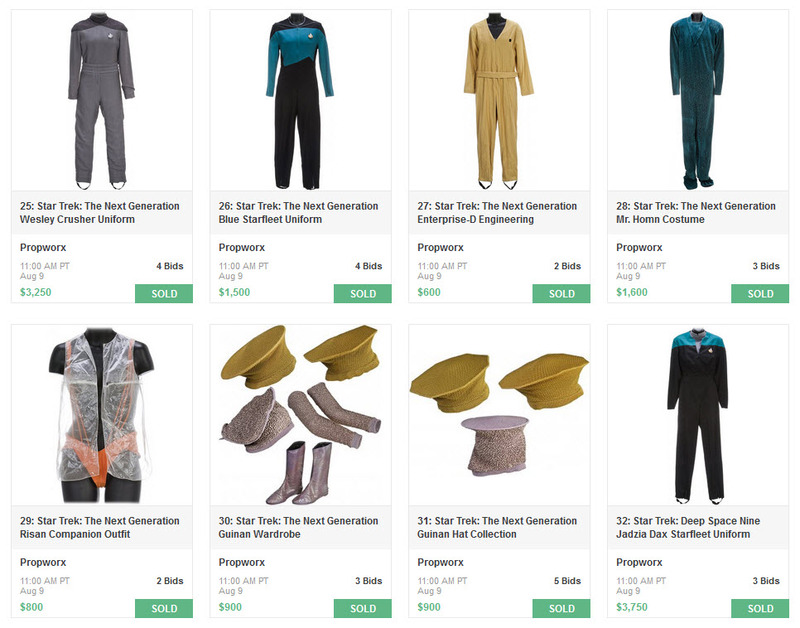 A William Shatner screen used commando-style Field Duty uniform from Star Trek V: The Final Frontier, including a rare set of boots, witnessed a final value of $10,030 with premium; while a TOS style Engineering Scanner (aka Ray Generator) tool from the DS9 "Trials & Tribble-ations" episode went for $9,440 with premium. 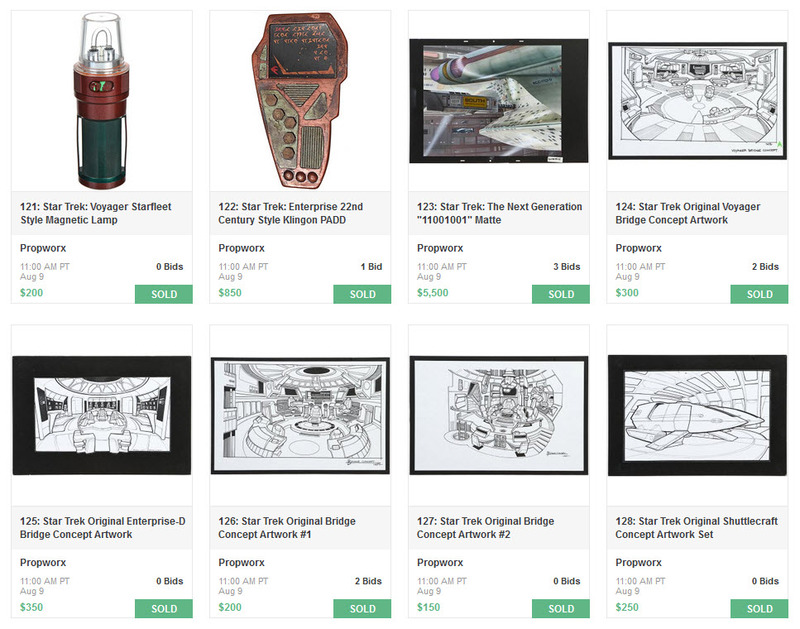 A beautiful matte painting of the Enterprise-D docked at a Federation starbase, that appeared in the TNG episode "11001001" realized a final price of $6,490 with premium.